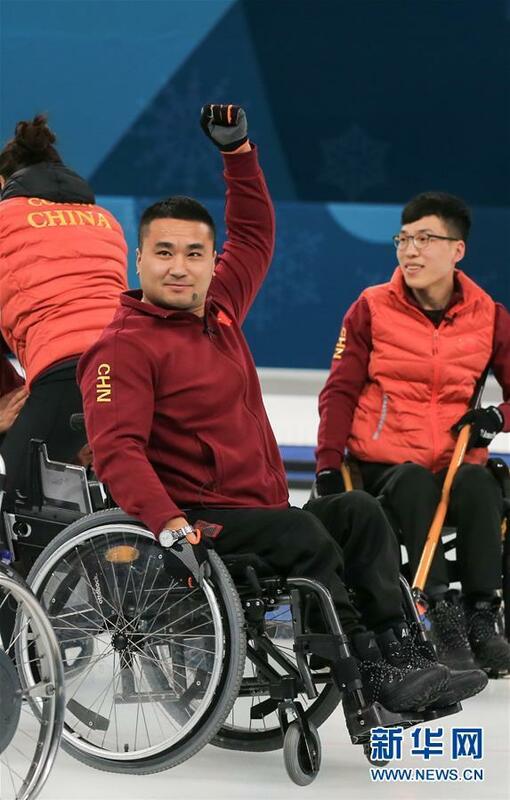 In less than a year, China’s Wang Haitao can call himself a Paralympic champion, husband and soon-to-be father. Perhaps he can add another title after the World Wheelchair Curling Championship 2019, which begin on Sunday in Stirling, Great Britain. Wang was a major force behind China’s historic gold medal at the PyeongChang 2018 Paralympic Winter Games last March. Then in January, life changed for the team skip when he got married. 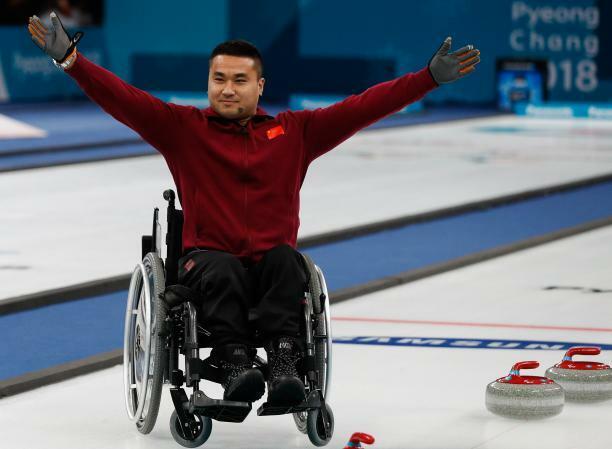 Wheelchair curling brought him and his wife together, as they used to play on the same team in Heilongjian Province. They recently learned that his wife is pregnant, giving Wang a new motivation to succeed in Stirling, where China can seal their first world gold. 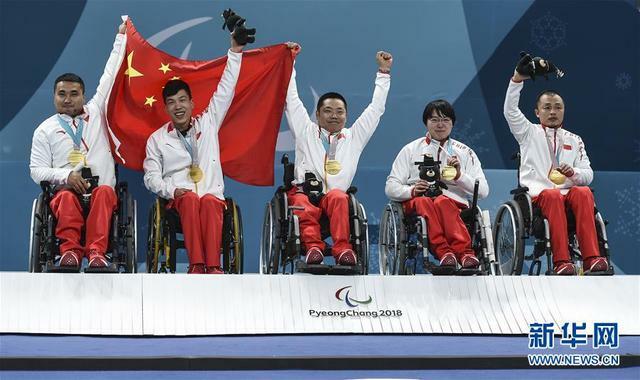 Gold at PyeongChang 2018 was the biggest accomplishment for China not only in the sport, but for the nation at Winter Paralympic-level. China have won three Worlds medals, with their best finish being silver in 2015. Wang was skip of that team, as they faced Russia in the final but lost 7-4. At the 2017 edition, China fell to Scotland 9-5 in the bronze medal match. But the following year, the nation showed off their strength in PyeongChang, reaching the final and upsetting defending world champions Norway. The 2019 Worlds will be a new challenge, with 12 teams total competing, up two from previous Championships. 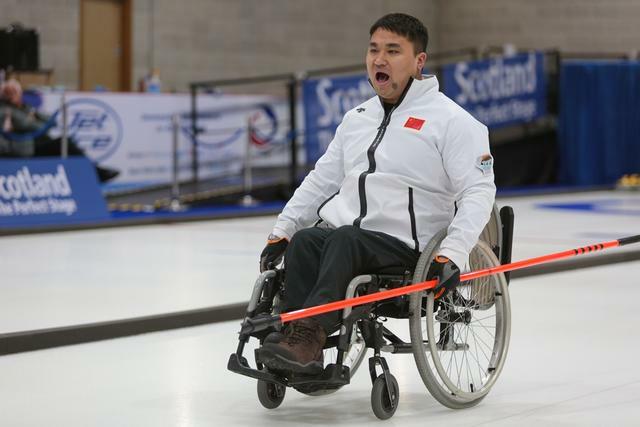 The line-up in Stirling will be much-changed from that in PyeongChang, with Wang and alternate Zhang Qiang the only ones returning from the Paralympic-winning squad. Wang did not specify the colour of medal that he wants to take home from Stirling. He only “hopes to bring out the best” behind his new motivation. “We love each other very much and I want to fight for my new family,” he said.